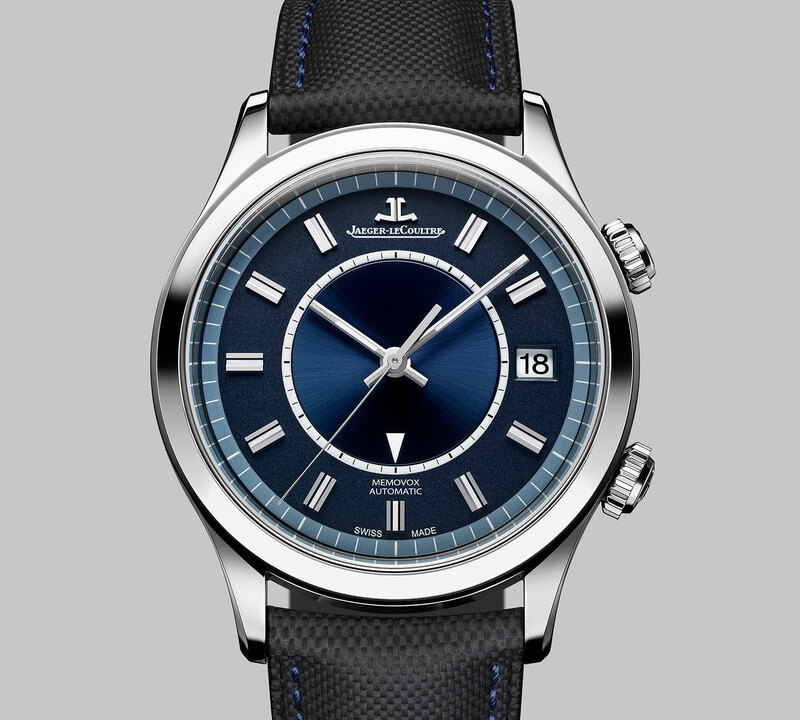 The latest Jaeger-LeCoultre alarm wristwatch - a boutique-only limited edition - is a modern take on the 1970s Memovox "Snowdrop". 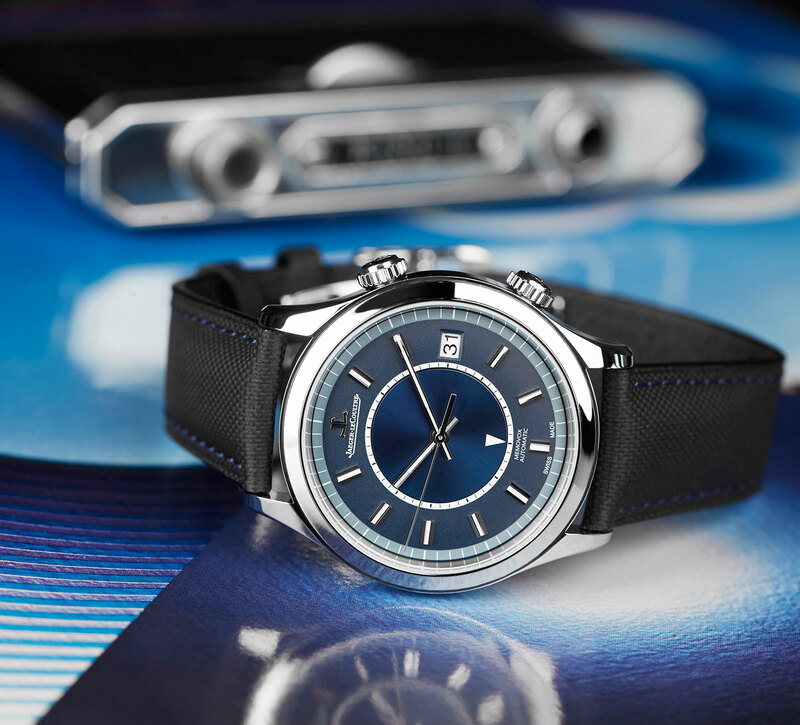 Jaeger-LeCoultre celebrates 60 years of its alarm watch with the Master Memovox Boutique Edition, a 500-piece limited edition modelled on the 1970s Memovox “Snowdrop”. The Memovox alarm wristwatch is arguably the watchmaker’s best known round wristwatch (the famed Reverso is rectangular). Featuring a vibrating alarm mechanism that sounds like a cricket, the Memovox was introduced in 1956. Despite being 60 years old in 2016, the alarm still functions in much the same way, with a rapidly vibrating hammer striking a gong mounted on the inside of the case back. Jaeger-LeCoultre was not the first to market with such an alarm, Vulcain introduced its Cricket in 1947, but the longevity of the Memovox means it’s now practically synonymous with Jaeger-LeCoultre. 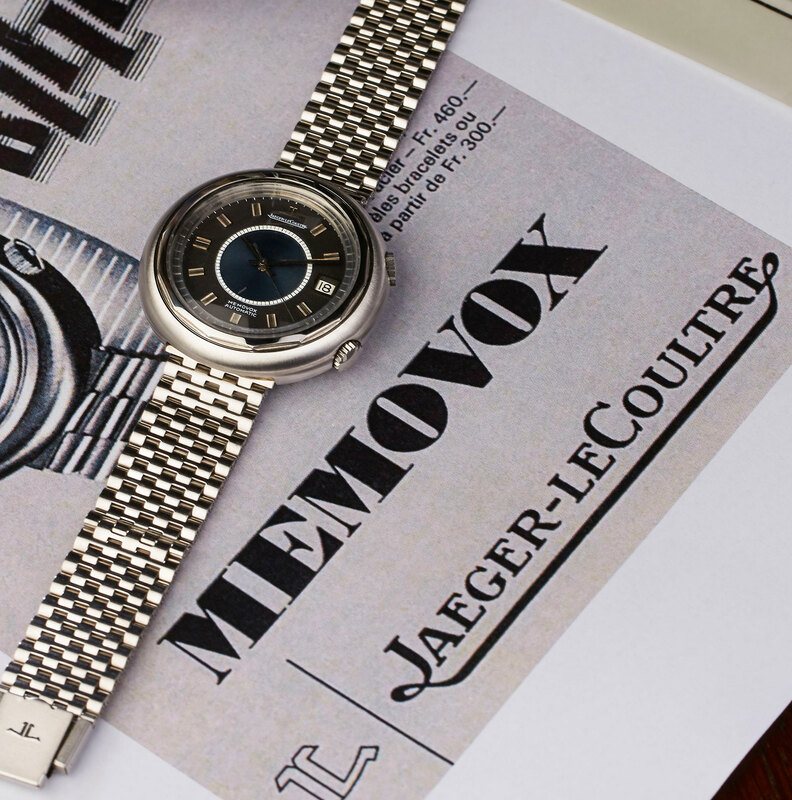 Jaeger-LeCoultre introduced several reissues of vintage Memovox watches in recent years, but the new Master Memovox Boutique Edition is the first with distinctly 1970s style. 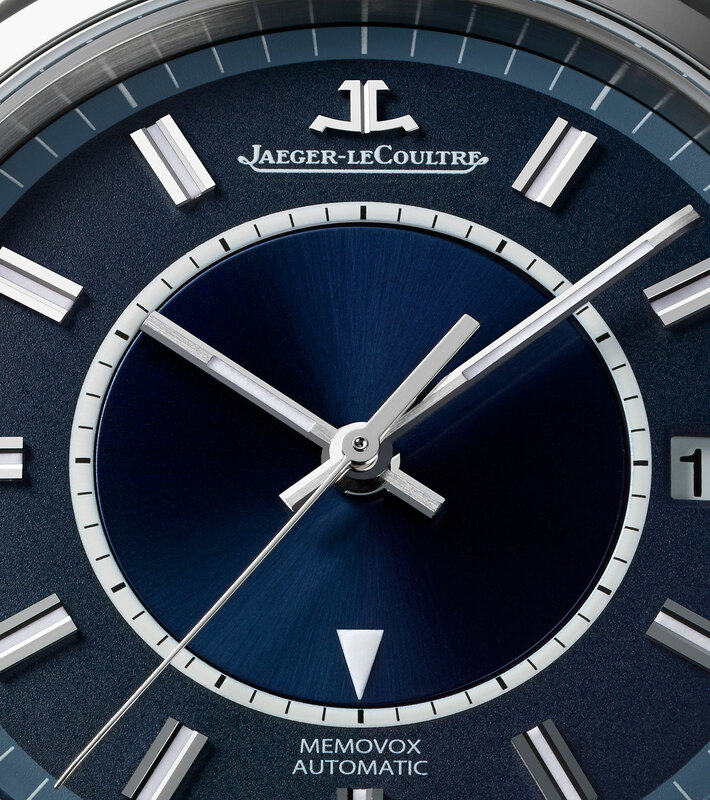 The three-tone blue dial, baton hands and block hour markers recreate the look of the Memovox ref. E 877 of the 1970s. The outermost minute track is a grey-blue, while the track for the facetted hour markers is a grained dark blue. In the centre a metallic, sun ray brushed disc has a white arrow for the alarm, which is set against a white minute scale graduated for 15-minute intervals. 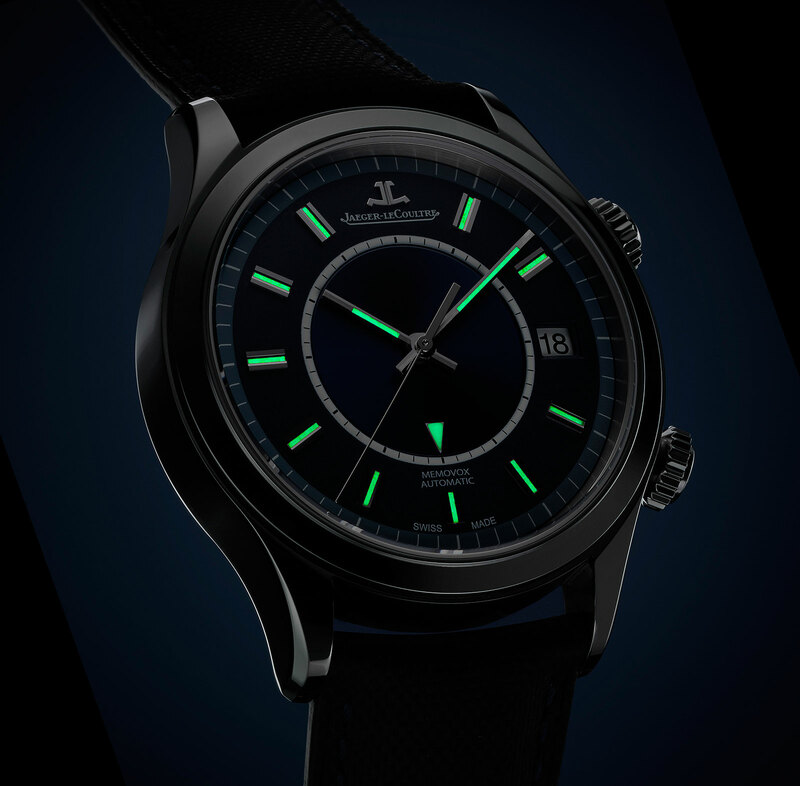 Both the hands and the dial, including the alarm pointer, are painted with Super-Luminova that glows green in the dark. The large, round and lug-less case of the E 877 gave rise to the nickname Memovox “Snowdrop”, but the historical inspiration stops with the dial. The Master Memovox Boutique Edition has a conventionally shaped case in stainless steel that’s 40mm in diameter with the twin crowns characteristic of the Memovox. One crown is for winding and setting the time, while the other crown at two o’clock sets the alarm. The calibre 956 inside is self-winding and a descendant of the original Memovox movement, with the alarm working in the same way. Powered by its own mainspring, the alarm can only be set on a 12-hour basis, so setting it for “2” means it will ring at both 2:00pm and 2:00am. Ironically, the calibre 956 inside the Master Memovox Boutique Edition is mechanically similar to the calibre 916 inside the original Memovox “Snowdrop”, with the alarm mechanism being almost identical, except on the newer movement the hammer strikes a gong instead of the case back itself. Other improvements in the calibre 956 include a convenient quickset date. The Master Memovox Boutique Edition is fitted on a dark blue, braided cotton strap lined with calfskin. A limited edition of 500, the Master Memovox Boutique Edition (ref. 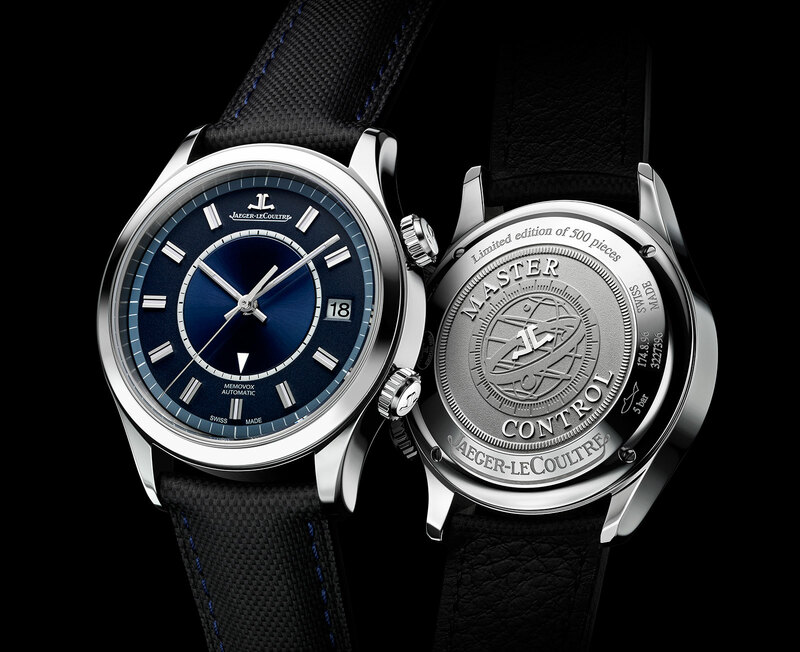 Q141848J) is available only from Jaeger-LeCoultre boutiques starting November 2016, priced at S$16,900 or US$11,700.